← Walks in the park one day. Crawling over broken glass the next. Grace ; I thawt I thaw a toof fairy ! 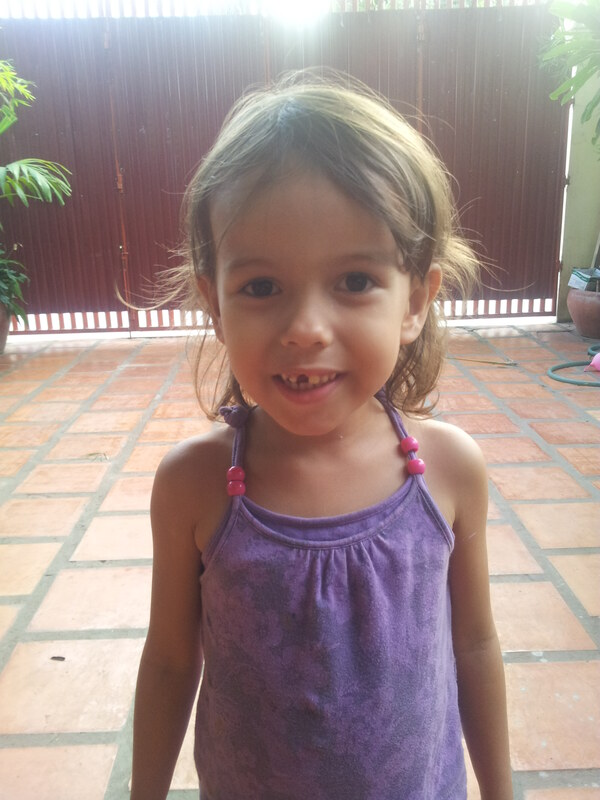 My little princeth has lotht her firtht toof ! Far from being upset about it last night Grace was bouncing off the walls like she had won a year’s supply of Barbie kit. We made quite a big deal of it being loose over the last few weeks telling her she was growing up and becoming a big girl and so it was quite the episode last night. I told her she had to put it under her pillow and leave it for the tooth fairy who would come down tonight and take it away….leaving some cash in it’s place. This morning I went in to Gracie’s room and there she was clutching a nice crisp 10,000KHR note ( $2.50). ” but I never saw the tooth fairy daddy and now my tooth is gone !”……….